In the latest of their “job secrets” series, Mental Floss talked to people who make a living developing new scents that may or may not become best sellers. It’s not an easy field to break into, and not everyone has what it takes to make the cut. Master perfumers are sometimes called a nez—the French word for “nose”—for good reason. They commit hundreds of scents to memory and can distinguish between ingredients that would smell identical to the untrained nose. Many perfumers can also tell an essential oil from a synthetic material, which is no small feat. “You’re talking maybe 200 essential oils and about 1500 synthetic materials,” Jodi Wilson, a classically trained perfumer who now works as a fragrance sales manager for Orchidia Fragrances in Chicago, says of the ingredients perfumers typically employ. But it takes more than a keen sense of smell. 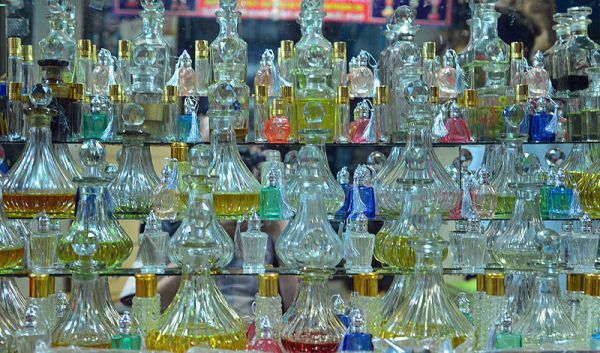 Read what goes into the profession of perfumery at Mental Floss.